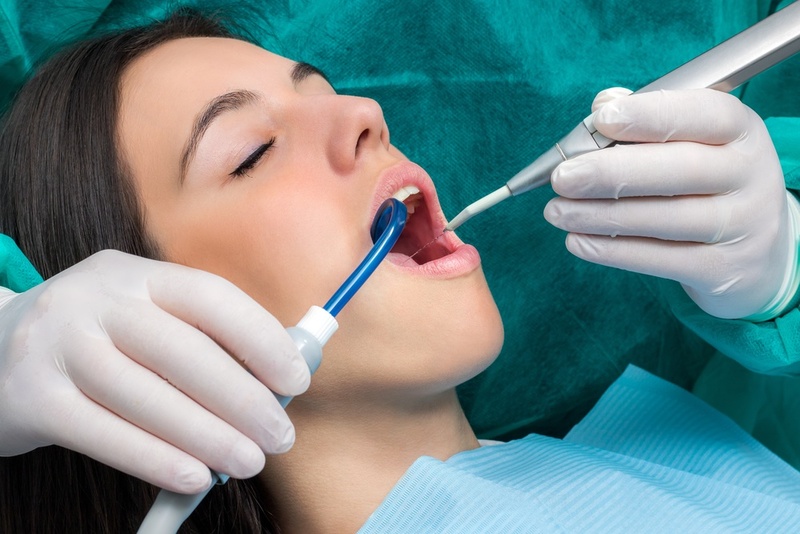 Why Is It Important to Get Your Teeth Professionally Cleaned? Dental cleanings are the most common dental procedure in the entire dental world. You might think it’s a clever trick to pull on the public—requiring people to come in once every six months for a professional cleanings. However, you may not realize that it’s one of the most important and healthy things you can do for your teeth. There is a reason behind the constant reminders from your dentist! Let’s take a look at some of the reasons why it’s important to get your teeth professionally cleaned. One of the biggest reasons for professional dental cleanings is to combat one of the most common dental maladies: the cavity. Have you ever swiped your tongue across the front of your teeth and felt a slimy layer covering them? This is plaque, which is the leading cause of tooth decay. Plaque is formed when bacteria on your teeth group together. Unfortunately, this plaque starts to decay your teeth, which is why cavities are formed. Plaque can be hard to get rid of, especially when you’re trying on your own, but a dental cleaning can remove most, if not all, of the plaque on your teeth. This prevents more cavities from forming. Too much plaque can cause halitosis in your mouth, which is really just a fancy word for bad breath. Sometimes, halitosis is so persistent that nothing seems to make it go away. Dental cleanings get rid of the root causes of bad breath, giving you better breath in the end. Professional dental cleanings also help you feel more confident in your smile. There’s nothing like the feeling of fresh, clean teeth and many dentists use materials that will help your teeth shine brighter than they have in a long time. Cleanings help remove surface stains that often alter the appearance of otherwise healthy teeth. Many people suffer from gum disease, although in varying levels of severity. Did you know that many of those people could have easily prevented gum disease from ever happening? Dental cleanings aren’t only used to clean your teeth, they give your dentist an opportunity to examine the overall condition of your mouth and detect the early signs of disease such as gum disease and oral cancer. There have also been plenty of studies that show a clear link between your oral health and your body’s health. A healthier mouth means a healthier body, and vice versa. Cleanings and examinations allow your dentist to get you on the right track to overall good health. Here at Grove City Dental, we’re always looking for opportunities to help you encourage healthy mouths. If it’s been a while since you’ve seen a dentist, don’t hesitate to set up an appointment today. Our professional staff will clean and examine your teeth with care. The longer you wait to get a professional cleaning scheduled, the more at risk your teeth may be.